For hundreds of millions of Sufi followers worldwide, music is at the heart of their tradition and a way of getting closer to God. 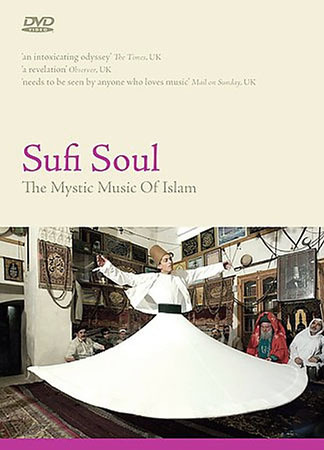 From the Whirling Dervishes of Turkey to the Qawwali music of Pakistan, Sufism has produced some of the world's most spectacular music celebrated by Muslims and non-Muslims alike. William Dalrymple's film traces the shared roots of Christianity and Islam in the Middle East and discovers Sufism to be a peaceful, tolerant and pluralistic bastion against fundamentalism. The film is presented by William Dalrymple and was filmed in four different countries, Turkey, Pakistan, Morocco and Syria by renowned TV documentary maker, music journalist and Songlines editor Simon Broughton. It features amazing musical performances from Youssou N'Dour, Rahat Fateh Ali Khan, Abida Parveen and Sain Zahoor plus bonus performances by Kudsi Erguner, Sain Zahoor, Rahet Fateh Ali Khan, Bhitashah Fakirs and Rokia Riman Jilala Band.